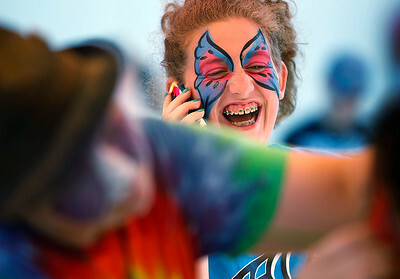 Matthew Apgar - mapgar@shawmedia.com Molly Sullivan, back, erupts in laughter while on her phone as friend Mia Coliflores, both 13 and of Crystal Lake, has her face painted by Nicki Beringer of Woodstock, left, during the annual Johnny Appleseed Festival on Saturday, Sep 26, 2015 in downtown Crystal Lake. 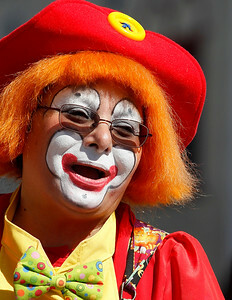 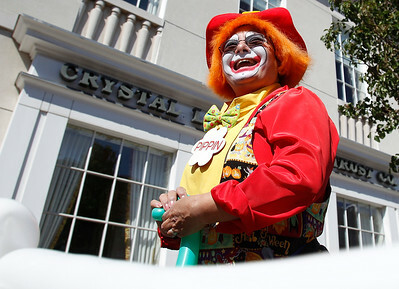 Matthew Apgar - mapgar@shawmedia.com Sally Nawiesniak of Island Lake entertains as Pippin the Clown during the annual Johnny Appleseed Festival on Saturday, Sep 26, 2015 in downtown Crystal Lake. 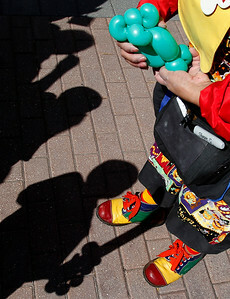 Matthew Apgar - mapgar@shawmedia.com Sally Nawiesniak of Island Lake, entertaining as Pippin the Clown, creates balloon animals for children during the annual Johnny Appleseed Festival on Saturday, Sep 26, 2015 in downtown Crystal Lake. 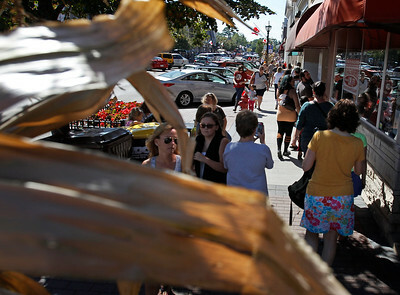 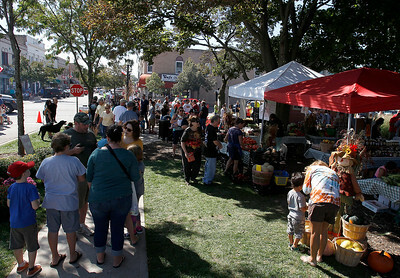 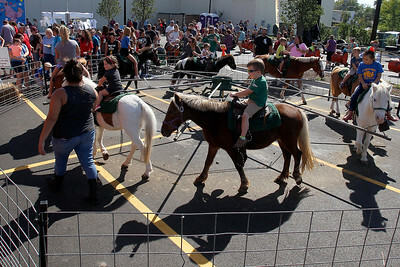 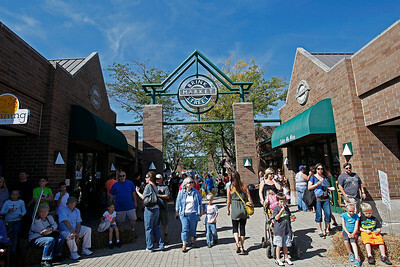 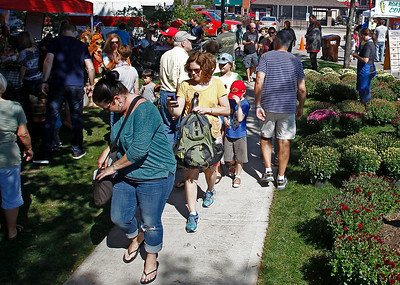 Matthew Apgar - mapgar@shawmedia.com Attendees flood downtown Crystal Lake during the annual Johnny Appleseed Festival on Saturday, Sep 26, 2015. 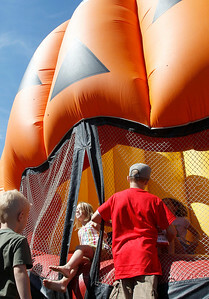 Matthew Apgar - mapgar@shawmedia.com Fallon Glosser of Crystal Lake, 6, exits a giant, inflatable jack-o-launtern during the annual Johnny Appleseed Festival on Saturday, Sep 26, 2015 in downtown Crystal Lake. 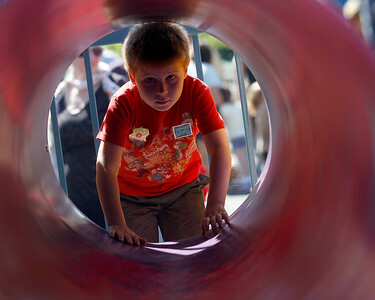 Matthew Apgar - mapgar@shawmedia.com Ryan Gregory of Crystal Lake, 7, enters a tunnel during the annual Johnny Appleseed Festival on Saturday, Sep 26, 2015 in downtown Crystal Lake. 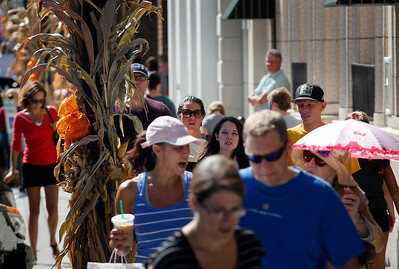 Fallon Glosser of Crystal Lake, 6, exits a giant, inflatable jack-o-launtern during the annual Johnny Appleseed Festival on Saturday, Sep 26, 2015 in downtown Crystal Lake.